Entrepreneurial careers go beyond job titles, career paths, and professions. It can refer to starting a new business or can be found in any field, industry or ventures. Developing new technologies, new products, new services, new ventures, and even new industries, is all about entrepreneurship. To achieve a promising or successful entrepreneurial career, both entrepreneurial mindset development and capability building are critical. 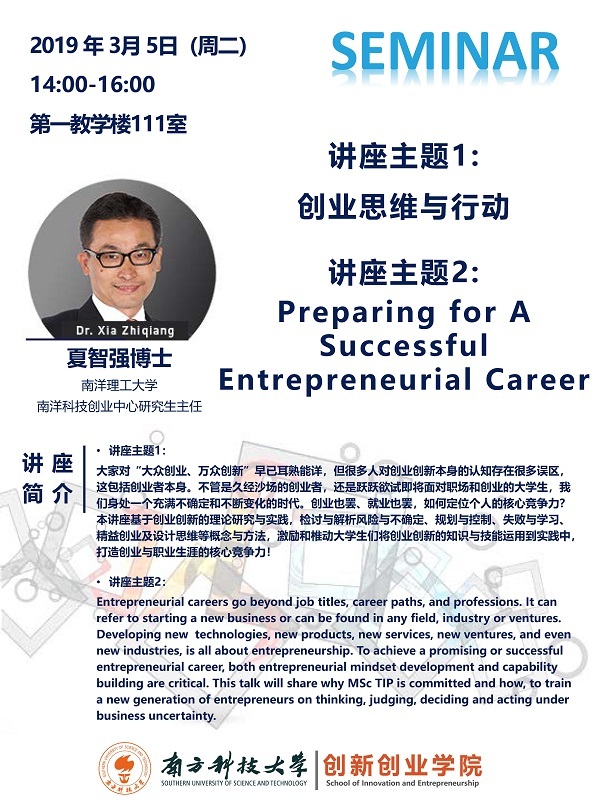 This talk will share why MSc TIP is committed and how, to train a new generation of entrepreneurs on thinking, judging, deciding and acting under business uncertainty.